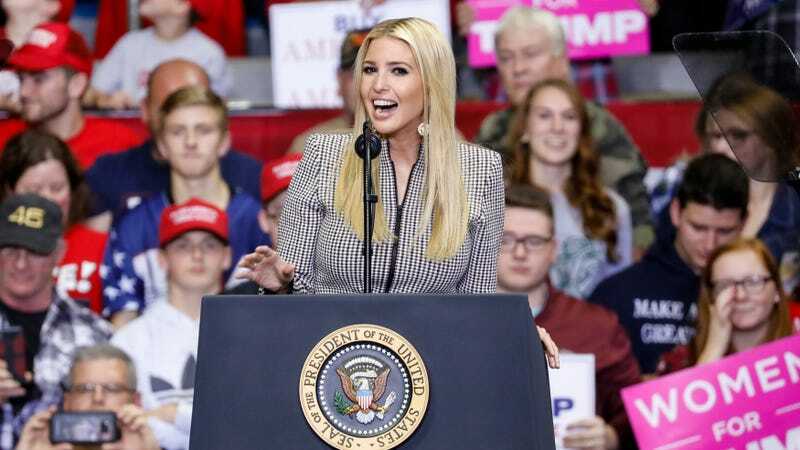 What has Ivanka Trump been up to lately? On Tuesday, Trump stepped into an elementary school in Idaho with Apple CEO Tim Cook, allowing only one reporter and one photographer from the local paper inside to cover her appearance as long as they didn’t speak to her. Trump, who currently works for an administration that tear gasses children, concluded that she has had “tremendous growth” during her time working for an administration that tear gasses children. That afternoon, Trump also stopped by a restaurant and ordered an omelet and country taters.